Professor Anne Kavanagh presented the 10th Southgate Institute Oration in Adelaide on 25 October 2018. Professor Anne Kavanagh is the inaugural Chair of Disability and Health at the Melbourne School of Population and Global Health at the University of Melbourne and Academic Director of the Melbourne Disability Institute. As a passionate researcher, advocate and as someone with lived experience of disability, Anne’s presentation challenged the way society thinks about disability, and pointed to the failure of public health to be inclusive of the health of people with a disability. Anne stated, “just because you have a disability does not mean you have poor health” and spoke of the need to come up with better ways to promote the health and wellbeing of people with disabilities. She argued it is often the systemic failures of our health systems and society which is making people with disabilities sick and so increasing inequities. Anne highlighted critical statistics on disability and health, including on violence, employment and discrimination. Women with disabilities are one of the most disadvantaged groups in Australia when it comes to experiencing violence, abuse and discrimination, particularly those with intellectual and psychological disabilities. Moving on to an equity critique of the National Disability Insurance Scheme (NDIS), Anne posed the question: “Do all fare equally in an individualised consumer-driven approach?”. She argued the NDIS’s emphasis on being market driven and providing individualised services has eroded collaborative and multidisciplinary approaches to care and has created a “cliff face” for those who are deemed ineligible to receive support. 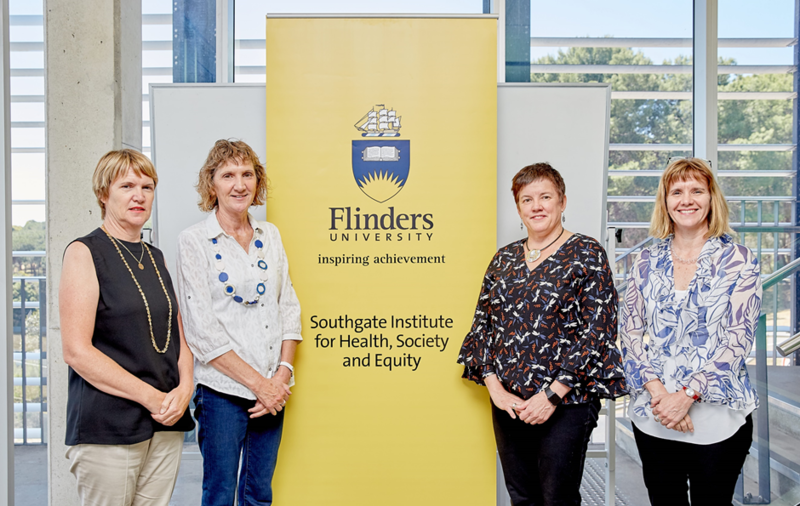 The Oration was recorded and is available to view via this link: http://video.flinders.edu.au/events/SouthGateInstituteOration_2018.cfm.